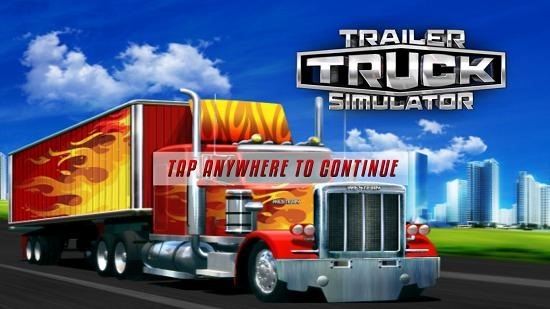 Trailer Truck Simulator 3D is a free truck simulator game app for Windows 8 and 8.1 devices. When you run the app on your device, you will be presented with the main screen of the app where the first screen that you see is the option to tap anywhere on the screen, doing which takes you to the gameplay screen. The game is not to be confused with racing games as the app only allows you to simulate the real world physics and drive criteria that are bound to happen when you drive a truck in a particular fashion – be it slowly, speedily or rashly. Trailer Truck Simulator 3D is available for free from the Windows App Store. When you install and run the game on your device, you will be shown the below screen. You can click anywhere in the above screen or tap on it if you happen to be on a touch screen device. Either way, when the above mentioned action has been performed, you will be taken to the gameplay screen which is shown in the screenshot below. You can see that in the gameplay screen, you can basically control the truck that you have on your screen in a way that suits your preferences. You can also choose to change your truck via the Change Truck button at the top right corner of the screen, and if you find yourself in a crash from where you are unable to recover, you can recover by clicking on the recover button right next to the Change Truck button. When you click on the Change Truck button, you will be shown a different truck which you will be able to control. You can see that I am given a completely different truck when I click on the Change Truck button. This basically winds up the main features of Trailer Truck Simulator 3D for Windows 8 and 8.1 devices. 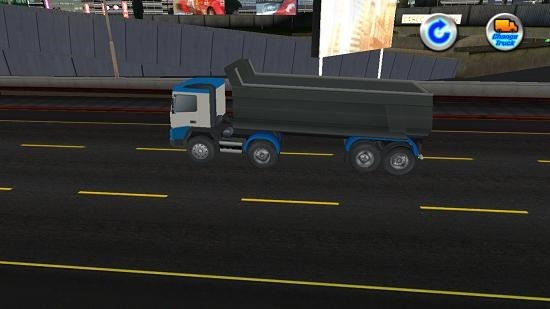 Trailer Truck Simulator 3D is a very nice app with great graphics which allows you to understand the physics of working of a trailer truck and what might go wrong with it if driven in a wrong manner. The app offers a lot of insight in a way which is useful to everyone. You can grab the app for free from the link below. 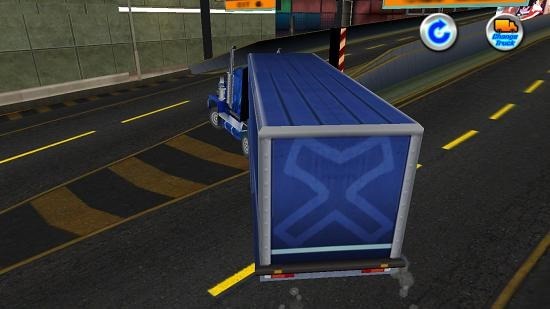 Get Trailer Truck Simulator 3D.